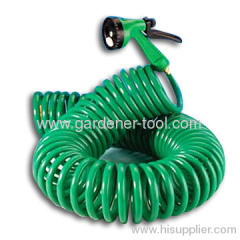 Quality water coil hose supplier in china,produce garden spring hose,water spring hose,garden water hose,Garden Water Coil Hose,water recoil hose,retract water hose,water spring hose,garden water hose pipe,outdoor water hose pipe,EVA water hose pipe,PU water hose pipe,PE water hose pipe,EVA garden coil hose,PU garden coil hose,PE water coil hose pipe,car wash hose pipe,coil hose&nozzle,no tangle hose pipe.Lead garden water hose and lawn irrigation hose in china. 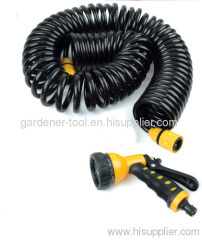 Whole Product W/15M 3/8" EVA Garden Coil Hose,4-function water nozzle,2pcs 3/8" quick connector,1/2"&3/4" female top fitting. 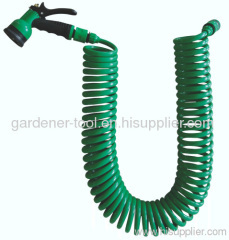 Whole Product W/30M 3/8" EVA Garden Coil Hose,4-function water nozzle,2pcs 3/8" quick connector,1/2"&3/4" female top fitting. 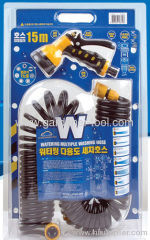 Whole Product W/15M 3/8" EVA Garden Coil Hose,4-function water nozzle,3/4" thread female and male brass fitting..
15M EVA Garden Coil Hose is deal product for irrigate plant,car wash and house clear. 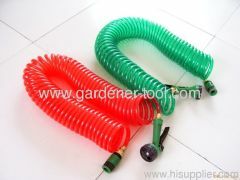 Whole Product W/15M 3/8" EVA Garden Coil Hose,7-function water nozzle,2pcs 3/8" quick connector,1/2"&3/4" female top fitting. 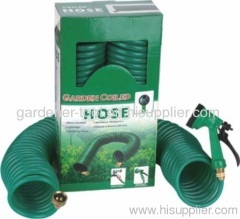 Whole Product W/15M 3/8" PU Garden Coil Hose,7-function water nozzle,2pcs 3/8" quick connector,1/2"&3/4" female top fitting. 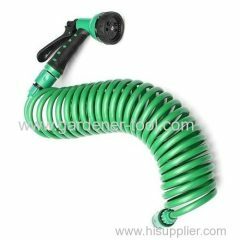 Whole Product W/15M 3/8" PU retractable garden hose pipe,7-function water nozzle,2pcs 3/8" quick connector,university water tap connector. 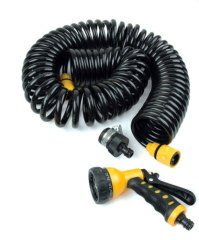 Whole Product W/15M 3/8" EVA Garden Coil Hose,6-function water nozzle,2pcs 3/8" quick connector,1/2"&3/4" female top fitting. 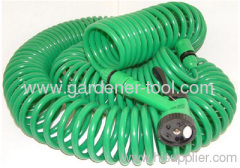 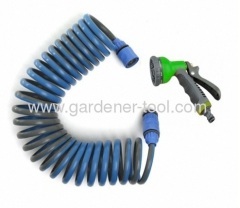 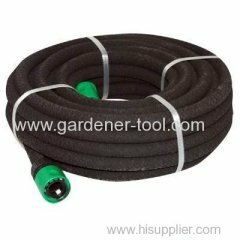 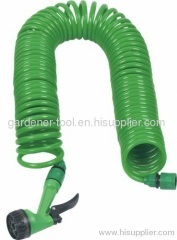 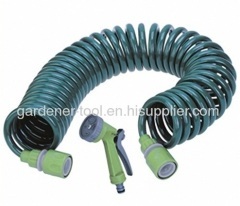 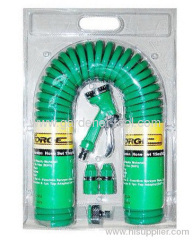 1, 15M Garden Water Hose With 8-Pattern Hose Nozzle. Group of Garden Water Coil Hose has been presented above, want more	Garden Water Coil Hose and Coil hose.water hose.pu hose.recoil hose.garden hose.hose, Please Contact Us.